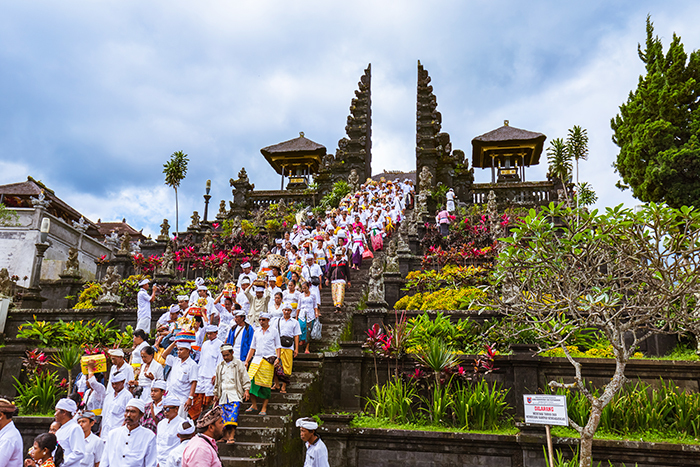 Discover sacred temples, water palaces and the ancient villages of the Bali Aga. 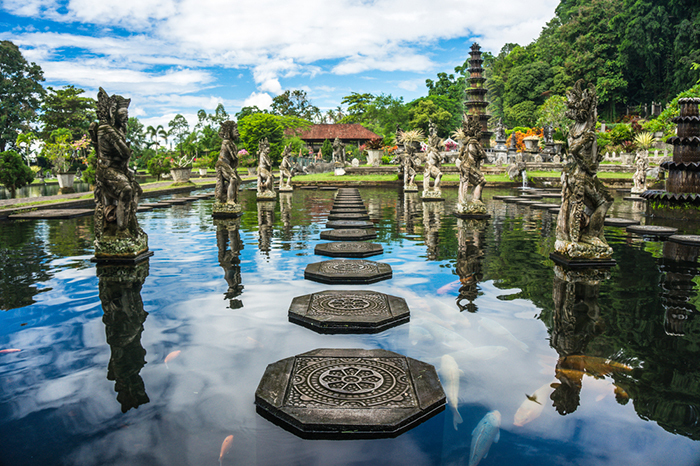 Drive through lush vegetation and bright green rice terraces to the water palace of Tirta Gangga. 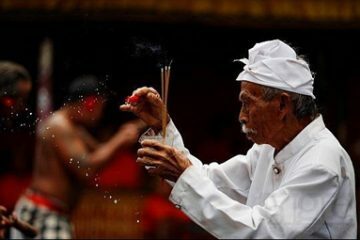 Visit at Tenganan, home to the Bali Aga people who still maintain their ancient traditions such as gamelan music, traditional weaving and ritual dances. 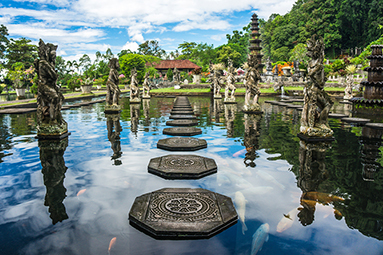 Wander the quiet roads of east Bali to discover sacred temples, water palaces and the ancient villages of the Bali Aga. Early morning set off from the hotel in your convertible Volkswagen to visit the historical site of Kerta Gosa in Klungkung. Built by the highest Raja of Bali it was the location of a famous battle between the Dutch and the Balinese. The Bale style structures are home to some of Balis most stunning artworks with ceilings covered in colourful and intricate illustrations. After visiting the nearby Museum Daerah Semarapura,continue uphill to Balis most sacred temple, Besakih, an ancient sanctuary located on the slopes of the volcanic Mount Agung. This impressive complex of temples is continuously frequented with worshippers. 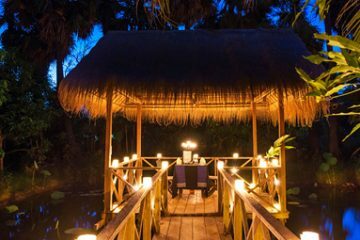 Enjoy lunch in the beautifully located Mahagiri Restaurant and then drive through lush vegetation and bright green rice terraces to the water palace of Tirta Gangga. Stop here for a drink and a walk around the unique water gardens before visiting the nearby water palace of Taman Ujung, set in the middle of a large pond and only reachable by bridge. After another scenic drive arrive at Tenganan, home to the Bali Aga people who still maintain their ancient traditions such as gamelan music, traditional weaving and ritual dances. 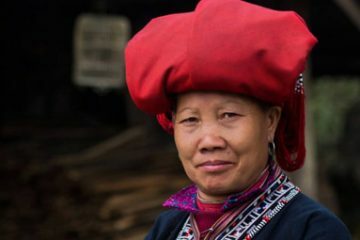 When the village was first discovered in the 1930s it created an ethnological sensation and was visited by a number of famous scientists and anthropologists.